DIRECTV, offered Yaveo in conjunction with partners including broadcast giant Univision Communications and Viacom. The service is aimed at U.S. Hispanic consumers with pricing set at $7.99 per month, with the first month free. The over-the-top service offers access to thousands of hours movies, TV shows and sports, including popular Univision telenovas. 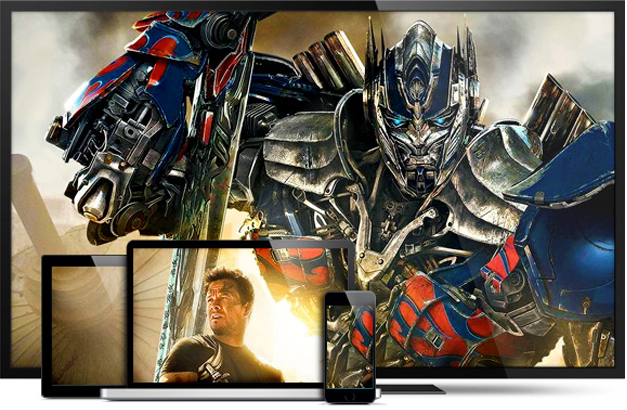 Yaveo includes TV show and movies from studios and networks including Univision’s suite of networks, beIN sports en Espanol, and others. The OTT package doesn’t require a satellite TV subscription or contract. The service can be streamed on PCs, Macs and Android devices, to be followed by iPhone, iPad, Microsoft’s Xbox 360, and other devices. DIRECTV came to us in a huff, having shed their relationship with their previous agency, and needing a new one to come up to speed quickly. Our introduction to them came with an assignment with a deadline of the same day later that night. promote awareness and distribution of the service, and to promote subscriptions, trials and signups. Adding to the complexity of the task, every campaign had both English and Spanish versions that had to be separately targeted, with different settings, ad copy, and URLs. We also further bifurcated these campaigns into desktop and tablet only, and mobile versions. We knew that the way to success with a program as complex and dynamic as DIRECTV’s is to literally function as an arm of their team. With today’s technology making communication between parties easy and instantaneous, we were able to operate as if we were in the chairs of their offices by being really open, flexible, and available for calls and strategy sessions. As a consequence of this, we were able to lend our deep experience and considerable expertise to their digital marketing efforts, working side by side with their marketing director. Because they also had many layers of compliance and regulatory hurdles to navigate, we also worked closely with their editorial/review team to approve ad copy. We eventually set into a healthy rhythm of drafting up rounds of ads for their compliance team to review and approve. Once we got the green light, we would quickly implement them on our end. In addition to rolling out tens of new campaigns, delineating along movies, shows, telenovas, seasonal sporting events, general keywords, and branded keywords, we also rolled out English/Spanish and desktop/mobile versions to canvass our entire addressable market. We also helped them expand in the areas of remarketing and display, making smart and prudent use of their approved budgets, and carving increased mindshare among their intended audience. When DIRECTV first brought us onboard, they were struggling with share of voice and market share. After we jumped on board, we found ways to effectively and prudently utilize the larger budgets that they were then approved for, with a commensurate increase in ROI. Additionally, because we significantly expanded their display and remarketing efforts, their conversions actually increased by more than 10x. We essentially brought conversion rate from a paltry 0.5% range or so, to a much healthier 4% range. Through these efforts, we were able to get CPA was more than sustainable, CPA was far less than customer LTV, which help us hit the home run we were after, scale with predictability!